Covering an overall area of 49.768 sq km, the Namib-Naukluft National Park is the largest game park in Africa and the fourth largest in the world. The present boundaries of Namib-Naukluft National Park came into being in 1978, the year of its establishment by the merging of the Namib Desert Park, the Naukluft Mountain Zebra Park, some sections of Diamond Area 1 plus some other bits of government land in the neighborhood. The habitat of this massive conservation area has Rocky areas stretching over 26%, Grassland covering about 12% and the Desert covering 61%. This is a stunning pan situated in the Namib Desert. It is surrounded by the massive red sand dunes in awesomely enormous patterns. It covers over 32.000 sq km stretching between rivers Koichab and Kuiseb. It is also a habitat for some animals such as rodents or jackals and reptiles of the Park. During the wet season, several migrant birds are seen along the marshes and rivers of the area. Gemsbok, springbok and Hartmann’s Zebra occur widely in park and Leopard, Brown and spotted hyenas are available although not so common. The black-backed jackals and spiraled-horned Oryx are more visible. There are also many snakes in the Park. On a good safari day, over 15 species of different snakes can be spotted. There are also hundreds of beetles, termites, fishtails and other insects which feed on vegetation blown into the desert or deposited by the few plants which grow in the sand. There are many bird species that have been recorded in the Namib Desert and many of them are common to Namibia but there are species that common to this the desert areas only. Raptors available include the African Penguin, Lesser Flamingo, large bustards, ostriches, sand grouse, Crowned Cormorant, Bank Cormorant, African Oystercatcher, Monteiro’s Hornbill, Gray’s Lark are very common. Rare birds are best found around the beds of the two main rivers, the genab waterhole and the northern section of the park around the Naukluft Mountains. Flamingos constitute the largest percentage of water birds in Namib-Naukluft National Park. The chestnut-banded plover; white pelican and black-necked grebe are some of the endangered Red Data species commonly spotted around Sandwich harbor. Include Walvis Bay and Sandwich Harbor just outside on the coast, the moonscape of the Swakop Canyons – smoothly carved tunnels from the sandstone resulting from the meandering Tsauchab River. Naukluft Mountain is massive rock formation and heavenly vegetated with riverbeds. 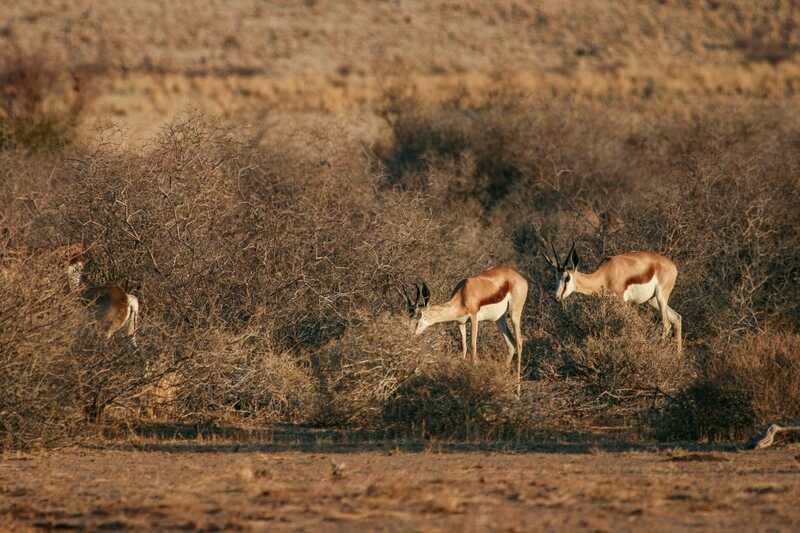 It provides perfect shelter and covers for the mountain zebra, springbok, kudu, rock, rabbits and black eagles. The Tsauchab River which meanders into the middle of the desert is also another beautiful sighting. Most of the park is inaccessible although some minor access roads are at times in poor conditions. The most common way to access the park is on 2WD to the entrance. A few gravel roads traverse the northern section of the park and another leads into the middle dune area of Sossusvlei and Sesriem Canyon. There are also possibilities of using a light aircraft or hot air balloon, for the best view of this rippling desert park. The period between the months of September and March is the best time to visit Namib-Naukluft National Park. There are several safari camps and private lodges in Namib-Naukluft National Park where you can relax or retreat and even enjoy viewing wild animals. They are well-maintained and fitted with facilities for a comfy stay. The most prominent are Naukluft Camp and Sesriem Camp. There are also five other camping sites and lodges including Wolwedans Private Camp, Wolwedans Boulders Camp, Wolwedans Dune Lodge, Wolwedans Dune Camp and Sossusvlei Desert Lodge. Most of them offer walking trails and guided trips into the national park. 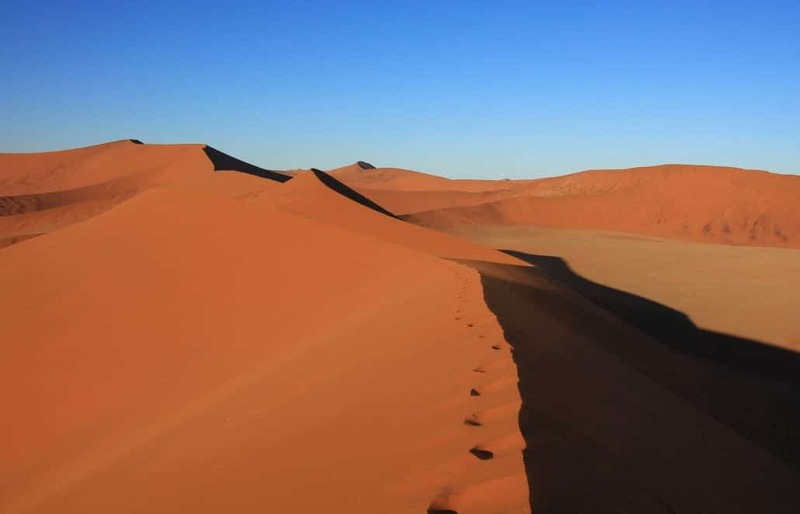 The highlight of a visit to the Namib Naukluft National Park is usually a trip to the Sossusvlei. Night gazing – Because of the heat most of the animals operate by night and sleep or burrow during the day. So some visitors opt for night gazing.